US President Barack Obama on Saturday inaugurated the National Museum of African American History and Culture. The star-studded event was attended by prominent blacks such as Stevie Wonder and Oprah Winfrey. This national museum helps to tell a richer and fuller story of who we are. It helps us better understand the lives, yes, of the President, but also the slave; the industrialist, but also the porter; the keeper of the status quo, but also of the activist seeking to overthrow that status quo; the teacher or the cook, alongside the statesman. 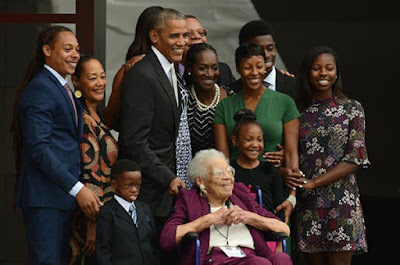 And by knowing this other story, we better understand ourselves and each other,” Obama said during the inauguration. The museum sits next to the Washington Monument on the National Mall and is the only museum dedicated to honouring African American history.